Every year, companies lose tens of thousands of dollars due to improperly documented or uninsured project resources. And in a high-liability industry such as construction, you need every tool possible to protect your company from undue financial accountability, and the new Insurance Tracking in UDA ConstructionSuite does that and more. With the dynamic Insurance Tracking system, you can rest easy knowing that your projects and everyone involved in the construction process have valid Insurance, Licenses, and Bonds. 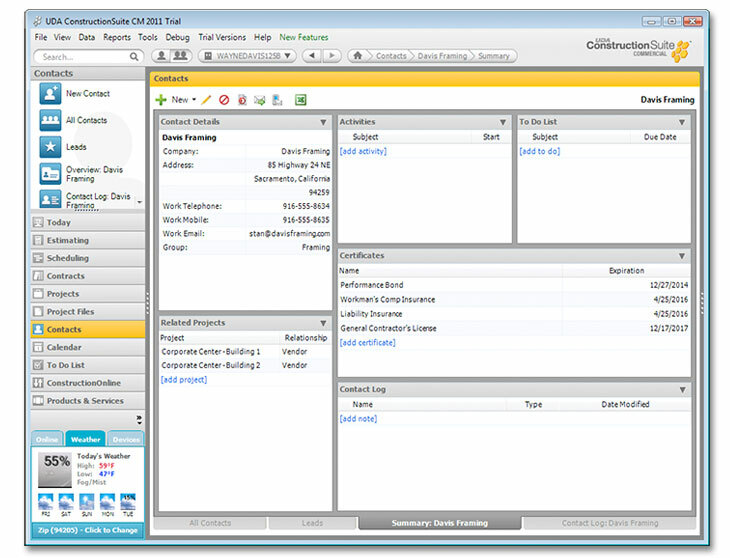 And, advanced integration with UDA Estimating, Scheduling, and ConstructionNet gives you real control in tracking and validating certificates. 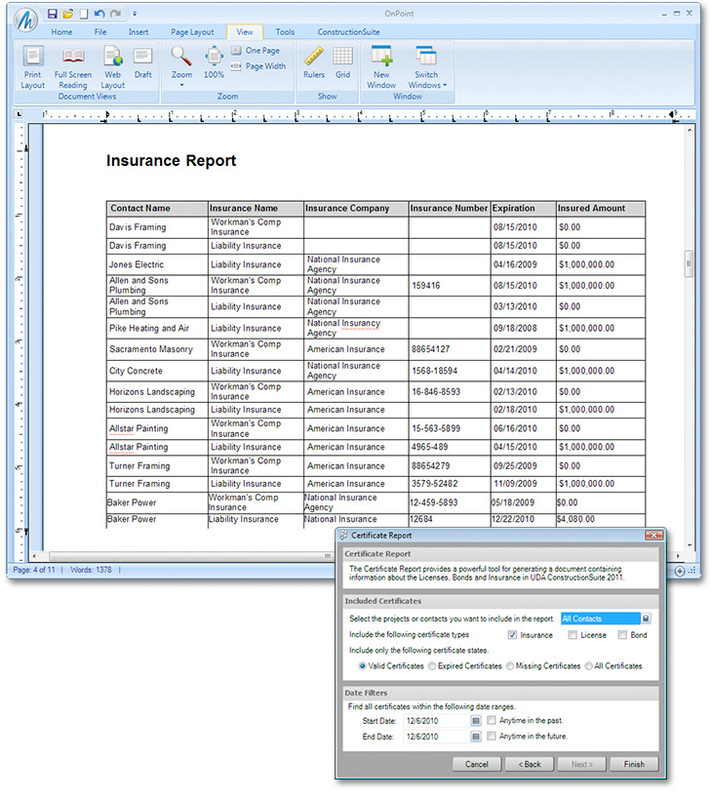 Create multiple Insurance, License, or Bond certificates for your projects and subcontractors. 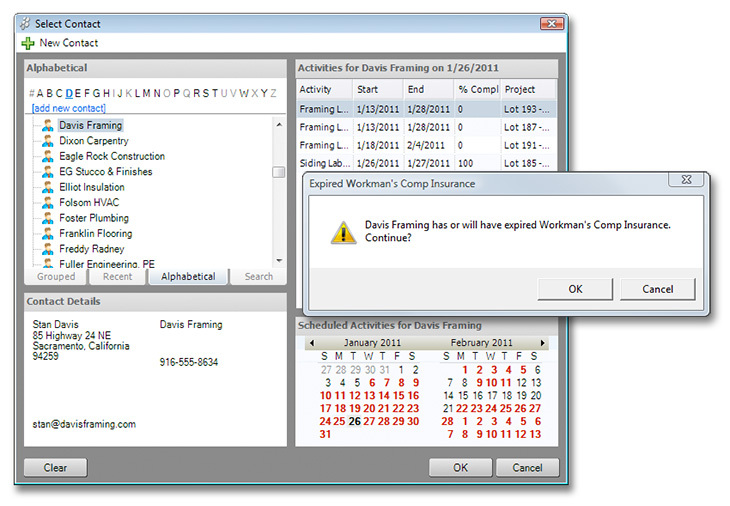 Set a notification time frame for expiring certificates so you can request the proper renewals in time. Utilize in conjunction with Resource Allocation in UDA Scheduling to verify that your vendors and subcontractors are properly licensed and insured. 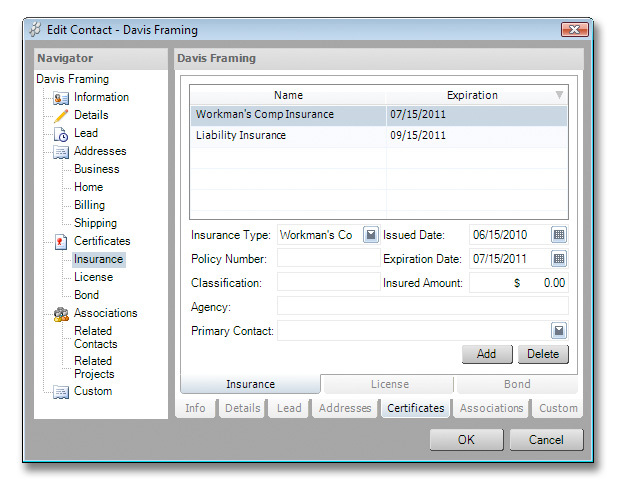 As a part of the integrated ConstructionSuite system, Certificate Tracking not only warns you of expiring Insurance, Licenses, and Bonds, but it also works in conjunction with UDA Scheduling to notify you before scheduling project resources who are not properly insured or certified. Take the leap to ConstructionSuite CM Catalyst, Developer, or Enterprise and see how easy it is to eliminate undue financial liability.